This is a picture of me and my Dad. 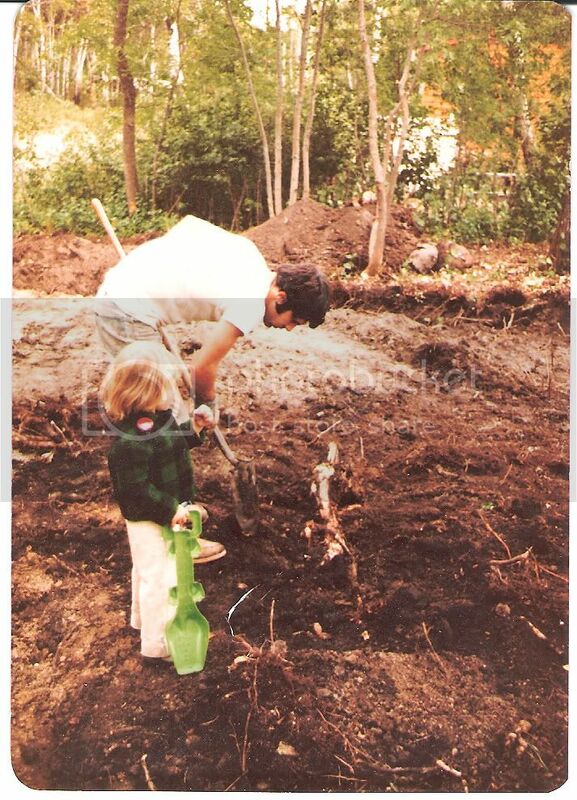 Me and my little plastic alligator shovel are "helping" him dig the foundation for a log cabin that he and a buddy subsequently built BY HAND. It's not hard to be the underachiever in my family, really. But I do it with style. That cabin was the source of many happy family times until it fell into disuse during my teenage years. My parents offered to sell it to my brother and I for a dollar if we would only maintain it, and we both turned them down. Which, in hindsight, was incredibly stupid, because when the Zombie Apocalypse happens I'm totally going to be kicking myself that I don't have a remote cabin in the woods to bug out to.